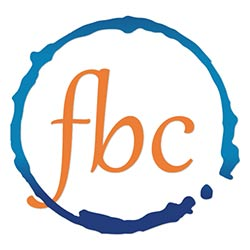 First Baptist Church is a diverse, multicultural congregation with members drawn from every walk of life. Over 25 nationalities call First Baptist Church their spiritual home. In that way, First Baptist Church is a glimpse of the life and worship of heaven. “And they sang a new song: ‘You are worthy to take the scroll and to open its seals, because you were slain, and with your blood you purchased men for God from every tribe and language and people and nation. You have made them to be a kingdom and priests to serve our God” (Rev. 5:9-10). Listen and subscribe now to the best Christian podcasts today from podcasters just like First Baptist Church Grand Cayman. These popular Christian podcasts are available to listen to and download for free on Faithplay. Faithplay is filled with more episodes from First Baptist Church Grand Cayman and other top Christian podcasts. Download Faithplay today and start listening!